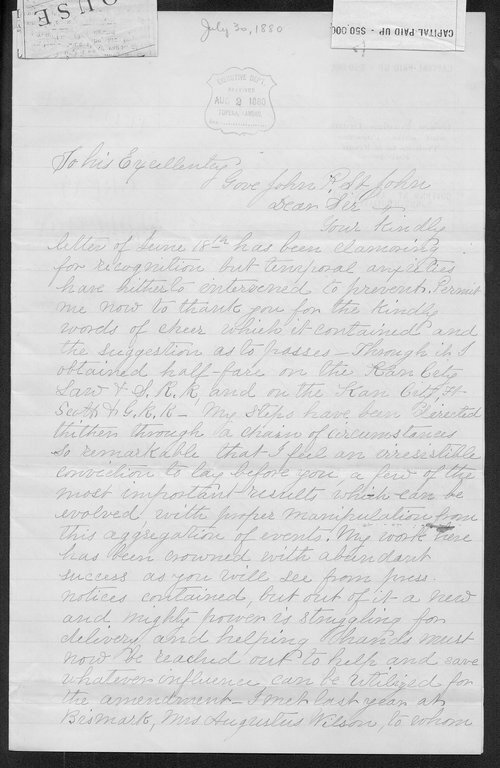 A letter to Kansas Governor John St. John from Mrs. G.J.H.Lang of Parsons, Kansas, strongly pledging her support for the amendment and imploring the Governor to use his influence to persuade the Parsons newspapers to oppose the enemy and support the temperance cause. She also expresses her admiration for the work being done by Mrs. Augustus Wilson. Creator: Lang, G. J. H.